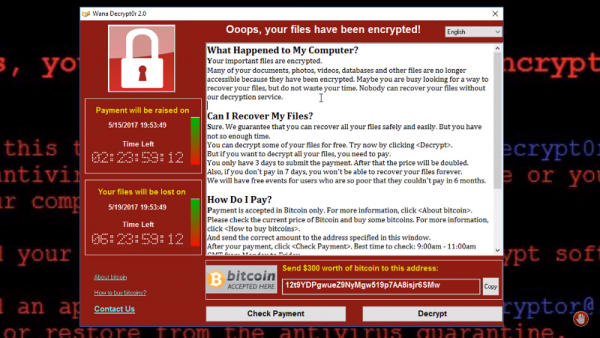 A fresh cyberattack known as Petya has been unleashed this week in Europe and online security experts warned the malware could spread swiftly like the WannaCry infection before it. When hit by the ransomware, escaping seems next to impossible but prevention is the key. In the case of Petya, a temporary fix is already available - in fact a simple solution to avoid the $300 ransom in Bitcoin that the ransomware will demand in exchange for the unlocking of an infected user's hijacked file. BBC called the solution an electronic vaccine that makes for an easy deployment. To stop the Petya attack, which BGR said will not only encrypt files but can also prevent a system's OS from loading, users will need to create a read-only file and name it "perfc" that should be stored on the C:\\Windows folder. That reads correct - the malware like WannaCry is designed to infect vulnerable PC systems. It's important to note that the Petya vaccine can stop further attacks on a targeted system but the infection remains. That would mean even with the fix, an infected PC can still spread the disease. So the best thing to do is disconnect and clean the affected system if and when possible. But as mentioned, users need not to go through the hassles of dealing with virus and malware infections if preventive measures are in place. Clearly tools are needed to fight off cyberattacks and they are freely available on the web, known as security suits. In this respect, security experts would recommend the use of so-called combo solution or actively running anti-virus and firewall applications as shield against potential attacks. Among the security apps to consider are Avast or AVG for the anti-virus solution and Comodo or Zone Alarm for firewall protection. The tools mentioned are free to download and install. And so is the Malwarebytes Anti-Malware, which is recommended as a backup. When updated regularly, the security app can detect and zap all known malwares in but a few clicks. However, the best protection for users is to make sure the PC systems they use are always updated. That means shunning old OS versions and keeping only to Windows 10 that was recently bumped up to Creators Update. In most cases, Microsoft immediately deploys security patches to combat virus and malware attacks.